Newspaper cuttings from The Glasgow News and The Citizen about the programme of A.E. Pickard's Casino Cinema, dating from between August and September, 1912. 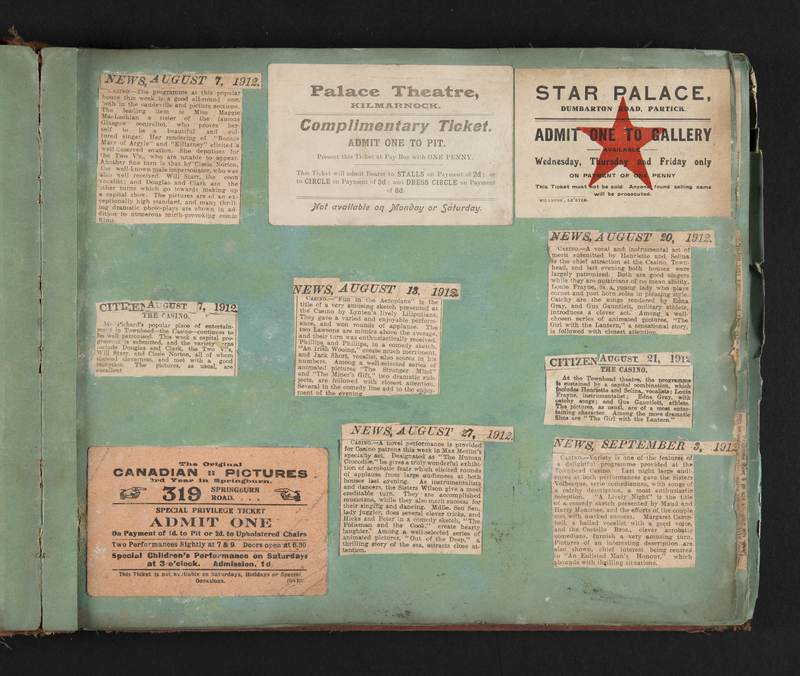 Also included are tickets admitting entry to various picture houses, including the Star Palace in Partick and the Palace Theatre in Kilmarnock. [A. E. Pickard], “BP15.04 Scrapbook page,” Pickard's Papers, accessed April 19, 2019, https://pickardspapers.gla.ac.uk/items/show/717.